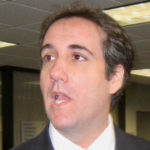 When Michael Cohen postponed his upcoming testimony with the Senate Intelligence Committee, after he’d also postponed his scheduled testimony with the House Intelligence Committee and House Oversight Committee, Palmer Report pointed out the key detail in all three instances: none of the Democrats or Republicans on any of the committees seemed to have a problem with it. This seemed odd. Now it makes a lot more sense. Yesterday we all learned that the Republican-controlled Senate Intelligence Committee is about to release a report which claims that the committee could find no evidence the Trump campaign colluded directly with Russia during the 2016 election. This report is obviously bogus in nature, considering that substantial evidence of this collusion has been exposed by the media and is in plain sight. Then the head of the committee opened his mouth about Michael Cohen. Last night Republican Senator Richard Burr, who is clearly behind his Senate Intel Committee’s bogus report, lamented that Michael Cohen “stiffed” the committee, according to CNN. This stands in remarkable contrast to the reactions of leading House Democrats like Adam Schiff, Elijah Cummings, and Jackie Speier, who all seemed fine with Cohen postponing his scheduled appearances before their committees. So now we have a situation where House Democrats are just fine with Michael Cohen’s flimsy excuses for waiting to testify, and a Republican Senator – who just happens to be corruptly covering for Trump – is really angry about it. It all makes sense. Cohen has information about Trump-Russia collusion, including his own communications with the Kremlin about Trump Tower Moscow, but he’s trying to avoid giving that information to Burr’s corrupt committee. The most logical conclusion is that Robert Mueller told Michael Cohen not to testify before the Senate Intel Committee, so that Richard Burr couldn’t take that information and publicly misconstrue it before Mueller can get the real story out there. And of course the only way to sell that is for Cohen to keep postponing his testimony with all three committees. No wonder the House Democrats are fine with it; they’re surely in on the plan.